Sun, sand and all the time in the world to relax...what's better than that? The Cayman Islands are known for their beautiful beaches, a huge selling point for globe trotting vacationers and a key benefit for island locals. Below we'll discuss the best three Cayman beaches - there's something for everyone, from those who prefer the busy strip to naturalists and adventurers at heart! 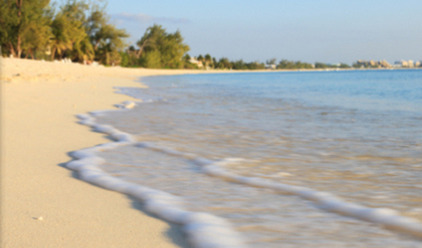 Seven Mile Beach, an obvious choice, is Grand Cayman's most popular stretch of sand. Located on the western shore of the island, its known worldwide for its stunning length and close proximity to great shops, bars, hotels, resorts and restaurants. The beach itself is public property, and visitors are welcome to explore all seven miles. Tourists are encouraged to enjoy everything the area has to offer, from barbecues to sunbathing, snorkeling, diving, volleyball and water sports. Owen Island, a small islet located off of Little Cayman's southern shore, across Bloody Bay, is home to some of the Caribbean's most beautiful beaches. Much lesser known than its counterparts, it's perfect for families, groups and couples looking for an afternoon adventure. Only 11 acres in size, Owen Island can be reached easily by kayak and is a peaceful place for suntanning, swimming, exploring and spending time with one another. 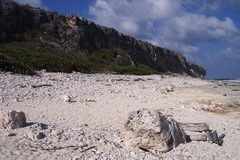 Cat Head Bay Beach is situated along the southeastern coastal road of Cayman Brac. A secluded location, this beach offers a rocky coastline and strong current, which is ideal for those who prefer a nature walk or picnic, or simply a great view. Swimming and snorkeling are not recommended in this area, which is nearby several popular island attractions. When it comes to the best Cayman beaches, Seven Mile, Owen Island and Cat Head Bay are three that cannot be beat. If these don't tickle your fancy, or you're looking for something specific or far off the beaten path, visit our Cayman Guide for a more comprehensive, in-depth look at all the sandy areas in the islands. Thursday, 27th February 2014, 11:10pm. How much do you know about Seven Mile Beach?